Invisalign in New York, NYC trained provider, Dr. Beshar has been offering Manhattan patients Invisalign, the revolutionary treatment to straighten teeth, for many years. Never before has an orthodontic treatment been so effortless and convenient. The Invisalign system can help you achieve stunning results through your very own, customized treatment plan. Flexible Payment Options – We can help you get the smile you have dreamed of with easy, flexible payment options. View our Invisalign Financing Options page for more information. If you are considering the Invisalign treatment, call Dr. Beshar for your Invisalign consultation. We can help you enjoy the benefits of having straight beautiful teeth, good oral hygiene and increased self confidence. Browse our Invisalign Testimonial section to view examples of how the Invisalign treatment has helped others achieve beautiful results, and see what they have to say about our practice. "Orthodontic treatment can be successful at any age. To discuss your Invisalign treatment options, contact us today"
Our highly trained orthodontic team has one important mission: developing a personal relationship with each patient, and providing the most comfortable path to a better life through good dental health and a pleasing smile from our Manhattan NYC orthodontic practice. 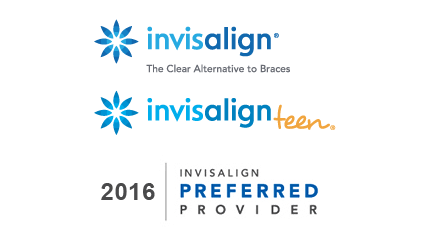 Each patient is greeted warmly, seen quickly, and treated with the latest in dental and orthodontic technologies, including the Invisalign and Invisalign Teen system. At our Manhattan practice, Dr. Beshar uses Invisalign to help improve patients’ smiles quickly and conveniently. With Invisalign, we can correct gaps, spacing issues, crooked teeth, and a number of other orthodontic flaws in months without the hassle, discomfort, and appearance of traditional metal braces. If you are interested in perfecting your smile with Invisalign in Manhattan, read on to learn about how we determine Invisalign candidates then contact us to schedule a free consultation and evaluation to see whether Invisalign is the right solution for you.